Support Staff | Law Group of Illinois, Ltd.
One of the keys to success for The Law Group is qualified, effective and efficient firm administration. Beth Reynolds has filled this role since December, 1987. Beth came to the firm in June, 1977, after her graduation from Patricia Stevens College in St. Louis, Missouri. She supervises all administrative matters for the firm, including management reports, personnel, timekeeping, permanent client history data, billing, supplies, payroll, and accounting. A graduate from Farina LaGrove High School, Beth and her husband, Paul, live in St. Peter. They have two sons and four grandchildren. Cody joined The Law Group in April of 2015. She brings over 15 years of banking, accounting and real estate experience to the firm. Cody assist with real estate matters including the preparation of contracts, deeds, leases and loan documentation. She also conducts title searches and prepares title insurance commitments and policies. Cody also assists the Firm Administrator with monthly billing statements, account reconciliations and other accounting procedures. 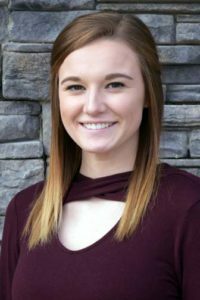 Cody graduated from Beecher City Jr/Sr High School then attended Sparks Business College where she obtained a certificate in Accounting. She and her husband, Nathan, have two children, Kaleb and Kylie. Kristen began to work at The Law Group in April of 2017. Kristen prepares title commitments and policies for real estate transactions. She also performs title searches and handles real estate closings out of the Vandalia office, including deed and document preparation. Kristen also handles title research and easement preparation for Fayette Water Company. Kristen is a graduate of Brownstown High School. Kristen and her family reside in Hillsboro. Linda Shurtz has been employed by the firm since July, 1994. Linda is responsible for maintaining the corporate records for The Law Group’s corporate clientele. Linda prepares corporate documents, such as articles of incorporation, annual meeting minutes, employment contracts, leases, warranty deeds, and stock certificates. Linda also prepares documentation filed with the Secretary of State and Internal Revenue Service. Linda graduated from East Alton-Wood River High School in 1972. She currently resides in Vandalia with her husband, Shelby. They have two sons and four grandchildren. Mary Shellabarger joined The Law Group in August of 1999. Mary prepares documents relating to litigation, including pleadings, motions and notices. Mary is involved in debt restructures and liquidations, and prepares schedules and documents relating to these matters. She is responsible for preparing real estate documents such as deeds and contracts. Mary is a Ramsey High School graduate, and holds an Associates Degree in Legal Secretary from Kaskaskia College in Centralia, Illinois. Mary resides in Vandalia. 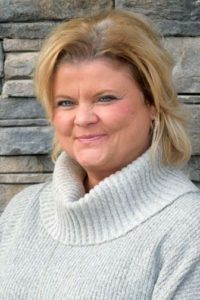 Kyra Willenborg joined The Law Group in May of 2001. Kyra prepares motions, jury instructions, and settlement brochures for personal injury and workers’ compensation cases. Ms. Willenborg is also responsible for preparation of marital dissolution and child custody documents such as petitions, marital settlement agreements, judgments and orders of protection. Kyra is the staff member in charge of collections for the firm. Kyra was born in Vandalia and raised in St. Elmo, having graduated from St. Elmo High School in 1991. 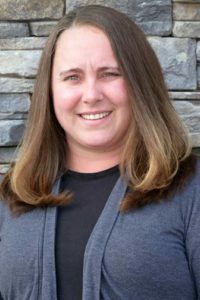 After receiving an Associate’s Degree in Agricultural Business from Lakeland College, Ms. Willenborg graduated from Southern Illinois University – Carbondale in 2001 with a Bachelor’s in General Agriculture Information. Kyra currently resides in rural Vandalia with her husband, Brian, and their son, Brock. Sarah Robertson joined The Law Group in November, 2016. At the Law Group, Sarah is responsible for preparing estate planning documents, including wills, codicils, and trusts. Ms. Robertson also prepares contracts and related documents, and is responsible for documents relating to probate, including petitions, notices, and inventories. Randi joined The Law Group in September, 2017. Randi is responsible for preparing estate planning documents such as wills, codicils and trusts. Randi also prepares corporate documents such as articles of incorporation, annual meeting minutes, leases, warranty deeds, and stock certificates. Randi resides in Vandalia with her husband Trent and their three sons Caleb, Aaron and Brantley. Donna joined The Law Group in December, 2012. She is the firm’s receptionist for the Vandalia office. Donna graduated from Ramsey High School. She and her husband, Brent, have three children, Ashley, Brooke and Paige. The Thull’s reside in Ramsey, Illinois. Brenda joined The Law Group in August 2014. Brenda performs administrative tasks, as well as receptionist duties and responsibilities. Ms. Scott also assists with preparation of legal documents to the attorneys in both the Vandalia and Effingham offices. She obtained her Associates Degree as well as her Administrative Assistant Certificate from Lake Land College. Brenda currently resides in Greenup and has two children, Dylan and Morgan. Her son Dylan recently completed Officer Candidate School in Quantico, VA and is a Second Lieutenant in the U. S. Marine Corp., Morgan is a student at Cumberland Middle School. Ashley started at The Law Group in March of 2014. In addition to performing receptionist and administrative tasks for The Law Group, Ashley assists in the preparation of deeds and other legal documents related to real estate transactions and estate work. Ashley is a graduate of Ramsey High School and currently resides in Ramsey.